Loch Lomond (short for The Bonnie Banks o' Loch Lomond) is a gorgeous traditional Scottish melody that tells of Loch Lomond, the largest loch in Scotland. It has been recorded countless times including the rendition by the Scottish Celtic rock band Runrig. Feel free to listen! An amazing resource for any musician, Music for Four is perfect for String Quartet, Mixed Quartet, Three Violins & Cello, Piano Quartet & More! Comes with score and 6 interchangeable parts - the keyboard/guitar part encompasses parts 2, 3 and 4. Therefore, the arrangements could be played as a piano quartet, or an entire quartet could play with a pianist - as long as Part 1 is being played. When your check-out is complete, you will receive a confirmation. At the bottom of the confirmation page, you will see a link to each of your digital download files. Thank you! Music for Four - Collection No. 2: Early Pop Favorites - Hit Songs from Tin Pan Alley, Broadway, and..
Music for Four, Jewish Ceremony Music Hava Nagila - Tsena Tsena String Parts with optional Keyboar..
Music for Four, Jewish Ceremony Music Yedid Nefesh String Parts with optional Keyboard #79006SDD .. 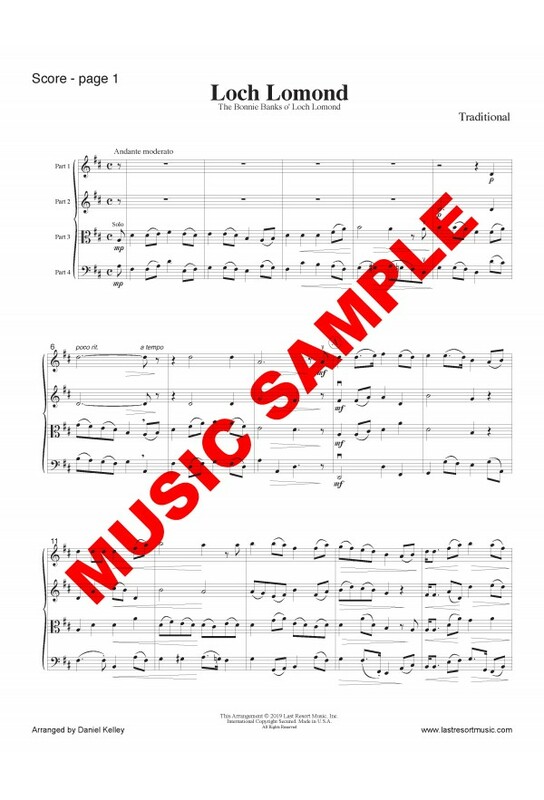 THE ASH GROVE for Wind Quartet (or Mixed Quartet) Set 2 Wind Parts with optional Keyboard #790..
Bells of St. Mary's Set for Strings #79013S-DD Arranged for Quartet with Mix 'n' Match..